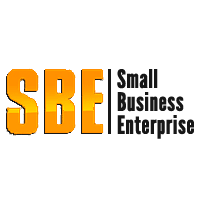 A minority business is a socially and economically disadvantaged small business concern organized for profit as defined under the Small Business Act, 15 U.S.C.S., Section 637[a]), and performing a commercially useful function. The business must have one or more minority or female owners with controlling interest. The owner is a citizen or lawful permanent resident of the United States. The owner is a member of an ethnic and disadvantaged group such as: Black American, Hispanic American, Asian-Pacific American, Native American, Asian-Indian American, or woman. The business is organized for profit, and a minority or woman owns and controls at least 51 percent of the business. A sole proprietor controls 100 percent of the business enterprise, and in corporations and partnerships minority owners control at least 51 percent of the management and daily business operations. Control is comprised of two parts; managerial and operational. The minority or women owner(s) must demonstrate responsibility for the critical areas of the operations and must be able to make independent and unilateral business decisions. The minority or women owner(s) must demonstrate that he/she independently makes basic decisions in daily operations. Ownership and control by minorities and women shall be real, continuing and shall go beyond the pro-forma ownership of the applicant as reflected in ownership documents.